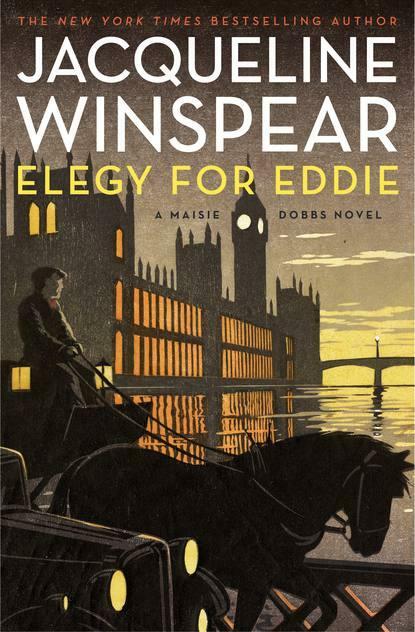 I am quite aware that this is a series, and a popular one at that, but this is the first Maisie Dobbs novel I have read. Spunky and precocious, Dobbs defies convention by owning her own business and having skipped a few rungs on the social class ladder. Maisie grew up on the “other” side of the river but is now the proprietress of a detective agency. With smart, capable people in her employ, she takes on cases for hire. Set in early 1930s London, England is dealing with post-war fatigue and an overwhelming, industrialized future coming too fast. This particular case involves a young man named Eddie who turns up dead. Maisie is approached by people from her past to find out what happened to him. In her investigation she meets strict factory men, low-class drunkards, gentle widows, thugs and coppers. Maisie’s peculiar situation allows her to float between the upper crust and downtrodden and gives the reader a sense of the vast divide between them. And the reader gets a sense that she doesn’t quite fit in either place. This is a pleasurable book, something to read for amusement. Winspear’s description and characterization is strong, but the plot felt contrived. In that way, it is like a less mature Agatha Christie. One thing Winspear does exceedingly well is give context. The victim is a horse whisperer in an age when carriages are being replaced by cars. The city is moving from the organic to the mechanized and the transition is anything but smooth. This theme is very well-explored throughout the novel. Number 1 Shelley Street, the address given for Evelyn Butterworth, proved to be a narrow, modest, end-of-terrace house divided into flats, not far from King’s Cross station. Though not in a particularly good area, someone had tried to make a garden, but soot from the trains rendered the district grey and tired and even the sunshine failed to cheer the street. Looking up at the house, Maisie noticed that the curtains on the third floor were quite bright. Pg. 154-5. Dobbs, follows various leads across London, while trying to maintain relationships further complicated by her independent spirit. The case itself is not one the reader will try to solve, really. Instead, the reader is just along for the ride – be it by horse drawn buggy or motorized convertible.